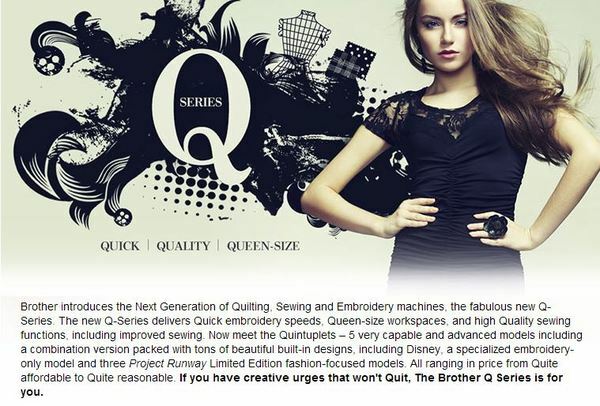 Brother 6.25x10.25" Hoop Embroidery Sewing Area is 83% more space than our Brother PE770 and PE800 5x7" hoops. or 64 Square inches vs only 35 square inches. Wow! Ask about Everyday Financing, Part of the Q-Series lineup, the Innov-ís NQ3500D is the ideal machine for hobbyists of all skill levels. 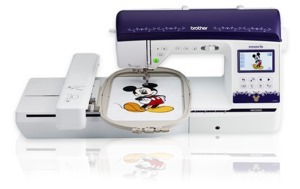 Take advantage of the 290 built-in sewing stitches, or make your own with the Brother exclusive My Custom Stitch™ feature. 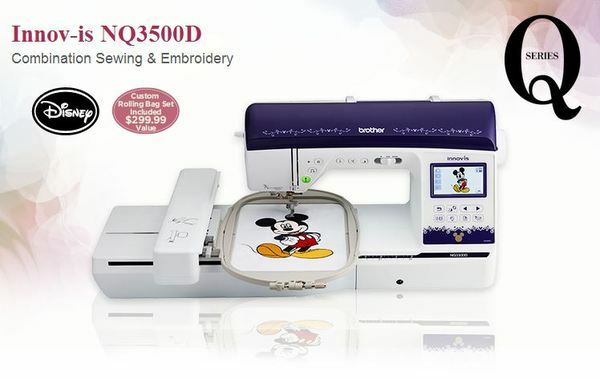 Easily import designs from your USB memory stick, expanding your deisgn capabilities beyond the generous 173 built-in embroidery designs, which include 35 designs featuring Disney characters. Your creativity has virtually no limits.